"Great productivity tool for freelancers "
I like that Rescue Time tracks my computer usage throughout my work day. It tells me how long I spent on various websites, how long I spent typing in my Word files, how much time I waste on social media, etc. I also really like that they calculate your productivity score and display your stats in easy-to-read graphs. A lot of websites are automatically classified as "uncategorized" and need to be manually changed to productive or very productive. When a lot of sites are uncategorized, I don't always bother fixing them because it takes too much time. I've been much more productive since I started using Rescue Time. Before tracking my computer activity, I didn't realize how much time I was wasting throughout the day. "Monitor the time you spend in front of the computer"
It is an excellent tool to monitor the time we spend on the computer using a program, an application or a web page. It is easy to use because it is only installed on the computer and when the program is subscribed, monitoring begins immediately. According to how it is configured, monitoring reports will be received. The form in which the report is received to the mail, to see the detail must be entered in the user of the program by Internet. It is a fairly easy program to manage, until now there is nothing that disgusts me. It is quite functional to organize the time devoted to each task in the office. "Rescue Time: to keep yourself honest"
I have been using Rescue Time for a couple of years. I like how the icon itself is discreet, but it keeps me honest about how I am using my time. It does a pretty good job organizing the types of sites and apps I visit, and it's easy to recategorize when something on my weekly report looks wrong. The only real issue I have with Rescue Time is that it occasionally mis-characterizes sites I visit in a strange way. The longer I use it, though, the less frequently that seems to happen. I have recommended Rescue Time to several friends and colleagues. Of the time tracking tools I've used, it has been the easiest and most stable. I'd give it a try. I use Rescue Time to keep myself on task and keep track of how i am spending my work hours. It's a productivity tool. "The best tool to track your productivity"
There are lots and lots of different reports, and a number of ways to customize and parse and filter all of the data to find the statistics you're looking for. You can customize the categories and productivity level of any activity. You can also create your own categories, and enter your own activities (manually or with the API). The information is very accurate, and it is also possible to obtain the file names of the files you've been working on (in Word or Excel, for example). There is an Android app to track your productivity on your mobile devices, but none for iOS. This is a restriction on Apple's side, and it would be really nice to see an integration of Apple's Screen Time data in RescueTime in the future. Simply be aware that this is currently a limitation. Even if RescueTime costs me some money, it allows me to bill time to my clients that I would have forgotten or underestimated if I didn't use it. It allows me to stay productive during the day, and prevents me from wasting too much time on issues and move on to other things to clear my head. It's also very useful to know how much time you spent on various tasks in order to do your timesheets and bill your clients accordingly! Turning work into a game allows me to do more in less time, and not staying up late at work! "RescueTime Help You Manage Your Time Better"
I love the detailed reporting that RescueTime offers with regard to my computer and non-computer activities. It tracks everything I do from emails, to websites, to even what I do on my Android phone with the RescueTime Android app. It's very affordable for all the great features that you get. It helps you understand where your time goes and where you can make improvements. I really do not dislike anything about RescueTime. It's great! RescueTime has you covered for tracking your time on everything - computer to phone to non-electronic activities. RescueTime helps me be more efficient in my business affairs. RescueTime lets me know where my time is going, especially on days where it feels like it has flown by. It helps me pay attention to where I can make the most out of my day. I don't really dislike anything, per se, but I would appreciate if more common websites were recognized as productive, when they are business-related (e.g. the Secretary of State) or etc. I've realized how much time I was spending on distracting social media sites while at work, and RescueTime has really taught me how to better manage the time that I do have during the day, to make the most of it. I take less work home because of this. "Understand how you're spending your time"
RescueTime does an excellent job of keeping track of all your activities computer/web/phone activity thus giving you insight into how productive you've been. Probably my favorite feature is the weekly email showing me how many hours I worked, and how many of those hours were productive. There are reasons why these numbers aren't completely reliable, but they provide a lot of insight. This criticism isn't unique to RescueTime, but: Lots of times I'm working on a project and end up visiting many sites I've never been to before. Typically this is all counted as neither "distraction" nor "productive". Having a huge part of my week categorized as "neutral" isn't insightful. This doesn't always happen, but when it does there's really not an easy fix. I'd highly recommend tracking as much as you can, i.e. : Get the computer app, the browser extension, and the phone app. Completely immerse yourself tracking your time. It's not going to be a hassle once everything's setup, and you'll find out a lot about how you're using your time. Staying focused and managing my time. When you're aware of how much time you spend going various distracting things (netflix, amazon, mobile game) it's makes you reconsider how you should spend your time in the coming week. "Tracking my waste for months!" I love how comprehensive RescueTime is. It tracks my time in all the programs, not just browser software, but it has a nice browser extension for chrome that provides all kinds of stats and lets me really understand where my time is going with great visuals. How often it pushes updates. I just don't feel great about software that is constantly downloading a new version of itself to work. Outside of that, I don't think it's got many pitfalls. Sometimes it misclassifies things, for instance - I spend a lot of time on UPS sites as part of my job, but it was marking these as 'online shopping' - a "slightly distracting" category of pages, so until I discovered that, it skewed my actual results some. Correcting that type of thing is really simple though. DO IT! This is excellent software. It changes the way you think about your time online. I used to be less efficient with my time, but RescueTime helps me understand it better which leads me to manage it better. It also shows where I can make improvements to streamline the processes I'm involved with. If something is requiring more time than I expected, maybe it's worth looking to replace or work around so that I can use my time more effectively. There are days where I slack off still, but understanding more about my workload and workflow has really helped me develop professionally. "Great metrics so long as they record accurately"
Rescue Time works on a variety of devices from phones/tablets to computers. It has easy to install add-ons for Browsers as well. All of those things make it easy and efficient to track how you spend your time. I found that the tracking was not always reliable, and given that I am relying on RescueTime to track my usage, this is a major drawback. For example, it only recorded me as using Powerpoint for 40 minutes when I was giving a 3-hour presentation. This may be because I wasn't actively modifying the presentation or perhaps because my presentation was on more than one screen, but it made me doubt how accurate Rescuetime is. Try RescueTime out for a few weeks while also tracking your time more generally. Verify that it is accurately measuring your time and determine how best you plan to use its Metrics. While the metrics are detailed and valuable, some companies may try to use it to micromanage employees. That could lead to low morale or workarounds. Many jobs today require rapid multi-tasking and it can be difficult to understand how we spend our time. By tracking the amount of time we spend on email, various websites, etc., RescueTime makes it possible to figure out how to become MORE efficient. It is MOST useful for entrepreneurs or individuals working independently to track the amount of time they spend on productive vs. non productive websites and programs. The best thing here is that you can't cheat it. This program says truth and only truth about what I am doing in front of my computer and it was surprisingly powerful experience as finally I was able to see in real numbers how much time am I wasting using social media or other things during the time I should work. It was much easier to get more productive simply by setting up a goal to have productivity pulse over 75% every week. It's a great motivator. I don't really like design and interface - colors seems to be a bit muddy and not visually attractive. It's not a big deal though as this program is suppose to work in background and you see it's interface for short time only. Interface is also not fully functional, it's hard to easly skip between categories while checking detailed time spent on them. I also think that this program might not be that useful for people who for example do blogging, simply because Rescue Time has it's own system of qualifying sites as distracting or productive. If your job is about reading and writing blogs or something like that it would mean that you have to edit distraction level for each site to see real producitvity pulse. I'm using free version of this program though and I'm not sure if these problems exist in premium version. I recommend you to try this program if you have problem with your productivity. At first I didn't believe that simple time tracker would help me at all but it's a surprisingly great tool. Suprisingly simple time tracker had a great influence on my productivity. It's one of few other tools I use to measure and organize my time. "Essential software for tracking on-computer time and usage"
Rescuetime runs in the background with minimal unnecessary interactions. It keeps track of what windows I'm working in, including what sites I visit. It gives me feedback whenever I want it to keep track of my productivity or to identify where I'm wasting time. It's customizable in terms of categories and how things are assigned to categories--e.g., for me, a certain program that would normally be considered a distraction is classified as physical exercise because I only use it while riding my bike. It's minimally useful for keeping track of things offline / off computer. You can enter offline time manually, but there's no seamless integration. Try the free version to see how well it measures your on-computer time. It allows me to identify what I spend my time on; helps with efficiency. I used it while writing my dissertation to help me keep on track and ensure that I spent at least 6 hours per day in the writing/research category. It gives me situational awareness and makes me want to keep focused on what's important and avoid the distractions. The reports and ability to determine what's important and to what degree they're important is super helpful and I can always change as the situation warrants. The UI takes some getting used to, or rather the onboarding could be a little better. It took me a while to figure it out but I'm pretty happy with it once I did. Give it a try and be patient with it. Habits are hard to break so don't let the "bad news" from Rescue time throw you off. As your habits improve you'll be much happier for it! It's way too easy to get distracted nowadays so RescueTime is helping me to stay on track. "I would just sit online filling out surveys all day if not for RescueTime"
I would not have finished my dissertation without RescueTime. Everything about it is essential. It automatically tracks my on-computer time, gives me the option of tracking off-computer time, and sends me stats each week. With the paid version you also have the ability to block applications/ websites that drain your productivity. There isn't much that I dislike about RescueTime. Maybe that it's possible to get bogged down in settings on the dashboard... or that I had a hard time coming up with meaningful categories for my offline time. The one tricky thing is that some of my research (my work) is based on social media, and RescueTime automatically blocks that, but that was easy to change as I needed (most of the time I left it though, because social media is a total drain). RescueTime works best for people who do most of their work on the computer, and less so for those who work primarily face-to-face. I'd also recommend it most for self-directed workers, whether you work from home or in an office. I found the offline categories to be the least useful aspect of the software, unless you have very structured offline time (perhaps again, in an office or other face-to-face setting). I used RescueTime to track my productivity while working from home on a PhD dissertation. It was the only way I kept myself on track while working independently. I think it is essential for anyone with a flexible, self-directed schedule... grad students, academics, freelancers, self-employed, creatives, etc. It's particularly useful for people who spend a lot of time on their computer, less-so for people who do mostly offline work. "Really interesting program that gives you loads of good analysis for free"
Over the years I've logged 7384 hours... this is truly an app that you "set and forget". It's always running, learning and looking at your habits. There are weekly emails that summarize how you've done that week and whether you've beaten or missed your goals. There's a "premium" version but I've never really felt the need to upgrade. The free version gives a load of great data for free, including a dashboard with charts and graphs. Occasionally "work" things get misclassified as "distracting" and vice-versa, though over the years this has gotten much much better. It's a great little program and managers might be enticed to use it to "track" their team members. I strongly recommend against doing so! "Monitoring time spent on work tasks"
We started using RescueTime to help us understand how much time we were spending on certain tasks using different applications. We liked how automatic it was to track your time spent and the ease of using reports by user. For our purposes, it would have been great to combine our individual reports into a team report, although that may be a feature of a premium product. To really get the most out of this product, I think you have to determine which sites/activities you really want to track and how. After we started our initial trial, we had to go back to calibrate our team so that the results were uniform against the data we were trying to collect. We were using RescueTime to see how much time we were spending on certain tasks throughout the day. We were able to justify having more support resources on our team to handle more the of rote applications, freeing us up to do more consultative work. "Great Tracking for Day to Day"
I liked that I could track what I was doing automatically using the app (on Mac). The reports on how effective I was being on a day to day basis was one of the things that stood out to me and I actually quite liked! It was incredible to me that an application like this could work in the background and would report to me unbiased. I cannot imagine if I had to report about this on my own. I would lie about time spent and it would not be an honest representation of where my hours were going. I found myself spending a lot of time reading through the analytics. This further left using up time during my day to self-analyze where I'd been spending my time via apps, social media, etcetera. I could have done this after-hours I realize, but when I'm done with work, I don't want to think about work any more! I found the timesheets a bit cumbersome and got fed up years ago. I'm sure it's better now though! I didn't really use this feature at all after the initial try. I would recommend only checking your analytics on weekends once a week or perhaps bi-monthly. You can get lost in reading through your hours and waste valuable company time! I used RescueTime when I was a freelance editor, motion graphics artist, office assistant, and administrative assistant. I was trying to solve the problem of time-lost due to in-efficiencies in my own work flow and work ethic. I was losing money due to distractions online and offline and I wanted to see where I was falling short. I realized that I was on social media a lot. Something that does not help me achieve the tasks at hand for my professional career. "Very helpful, using it every day to track my productivity during the day"
I like how easy it is, I had it installed in a few minutes and have it running ever since. Occasionally I check how my productivity is going on certain days. I started using it when I noticed my productivity being quite low, during the day I procrastinated a lot by going to things like news sites. It's really easy to setup, but it is running in the background. That could be a plus, but I noticed that after a few weeks I stopped checking my productivity. That is just because I forgot it was running. One option could be to send notifications when my productivity is really low, or just a report. I also noticed that I never read the weekly email report, this is because of the time it's sent. This is during the work day, I have no time to read it, and forget about it. Certainly start using it, but keep in mind to check the data occasionally. Not only to check for your productivity but also to categorise some of the apps and sites being used. I noticed that some sites couldn't be properly categorised and being put under non-productive time when it was for work. My personal productivity was very low in my opinion. I noticed that I was procrastinating. In the past I've used a lot of quantified self tools to track things like movement. So I searched for tools that work just like those tools but for work. The fact it's free to use and the intelligence of the Chrome extension to recognise the type of application or website you're using, meaning less time is spent altering. It also recognises when you're using non-web based apps too such as Word/Excel which is very useful. It would be nice to be able to be set time limits for individual websites without having to go pro. Increased productivity by being made aware of where my distractions are and have learned to structure my time in a more economical way. I liked the way it was easy to set up and to use. Unfortunately, because my work with special needs advocacy and sharing information to various groups involves social media and internet research, my main work distractor is also the nature of social media and browsing educational websites. Keeping personal separate from work was my reason for choosing RescueTime, and I found that the software could not pick up on whether or not my time was really productive. If I took more time to tailor it more specifically, it may be designed to do that, I don't know. Solved problems were temporary and minimal, benefits were at least that I did receive a report now and then that said my time was a certain percentage productive. I don't feel I gave it enough of a chance to work, but I have since found that a simple app on my phone called MyWorkClock is actually more effective for me. "Great insights, just wish it integrated with my iphone"
I can see how I'm dong week over week! It's a "set it and forget it" kind of program that still delivers useful insights via email so I can get an idea of what my real work habits are like. I do a lot of work on phone as well. I really wish I could get stats on my iphone usage and combine those with my regular computer usage to see a more accurate overall picture. The free product is great. I want to make sure I am reaching my productivity goals and get a better sense of what I am accomplishing in a set amount of time. "Rescue Time keeps me motivated and on task!" I'm a paid subscriber to Rescue Time, because a paid subscription also unlocks "Get Focused", which allows you to block set distractions for a set period of time. This takes away that impulse to check email, social media, the internet when I'm supposed to be focusing on writing up strategy, doing scheduling or working on edits. Also, I appreciate seeing my weekly round-up of where I've spent my time and knowing I've actually been productive! I'm not a huge fan of the mobile version of Rescue Time, so that's probably my only one minor dislike. Do the trial for the paid version and give "Get Focused" a try. It will amaze you how automatic switching away from your work is and just how often you're being distracted by the internet and social media. I've increased my productivity and better been able to account for my time! "Technology useage self-measurement on any device"
RescuetTime works on pretty much every device I use. It offers incredible insight into my tech usage patterns over days, weeks, months, and I find it really valuable in understanding what, when, and how I get work done. No complaints, really! I have a hard time thinking of anything I dislike about the product. RescueTime gives you a ton of insight for free, but it's even better if you shell out the small monthly fee to get offline collection. I've found it invaluable for tracking those quick 10 minute interactions with co-workers and when they are most likely to come up. I can then plan my day so that an interruption at those key times isn't particularly disruptive. I use RescueTime as a personal metric to see how much time I spend on different day to day tasks. For instance, it helps me measure how much time I spend doing administrative work vs. communication vs. development, etc. I like the ability to analyse my own spent time. The graphs and diagrams are detailed and helps to identify how my time is spent. I like the fact that the company has tracked my progress since I've made a few years break when using it. I can still access the data that was generated a few years ago. I dislike the product cost, but people need money, servers also don't pay for themselves. If you want detailed analysis of your own spent time this software is right for you. Unfortunately some of the amazing features are hidden behind a paywall. It's possible to try the features out so it's up to you to decide they are worth the money or not. I'm solving my own productivity issues. It helps identifying and eliminating them step by step by analyzing weekly reports. Discrete tool that runs on your machine, monitoring your production during working hours. Set your productive tasks and goals and see how you do in meeting your targets. Design of the website is a bit dated. Mac program could should daily stats from the menubar. Great tool to use for self motivation and focus for productivity. Self motivation and monitoring of work productivity. I love that I can see where my time goes with this app. It is invaluable information, and helps me to better understand where I need to cut back my time on and where I am spending my time the least. The interface of the app for the lite version is very minimalist, which is okay if you want to take the minimalist approach. However, I would love to see my dashboard with where my time goes inside of the app itself. It is often difficult to know where my time goes as a writer/blogger. This app has helped me to realize where my time goes so that I can focus on cutting out time wasters. "You can't improve what you can't measure. RescueTime starts by you." You can't improve what you can't measure. RescueTime starts by helping measuring you so you can help and improve your self. There was a time i was really convinced i was productive until I started using RescueTime. It really rescued me to know and reveal more about my self and my procrastination patterns. Something I wanted and I changed. The interface is not the best. Still, it has improved but it is a little more complex than other competitive products. Find alternatives, there are more beautiful and simpler alternatives. Still, RescueTime might be the most complete. It solves the business of self-improvements. Starts by knowing more about your self and your online patterns . "Let all the time count"
I like this tool because it helps me count where I am spending my time while working. I like summarized weekly emails. I think that sometimes desktop app isn't working properly. It is helping to manage my time and helps with my goal to be more productive every week. RescueTime really helps me narrow down how my time is truly being spent and helps me manage my tasks more efficiently. There's not to much to dislike about RescueTime except for the very rare crash... which is usually my fault for having too much going on at once within Chrome or my computer in general. Time is money. That really sums it up. The more time that I waste with distractions (admittedly, this survey included), instead of focusing on work, the less productive I will be. "Beta tested for use in freelancing"
Easy to read charts in updates delivered via email. Looks like the application has matured since I first started up with it. Understand I am not likely using most of it's benefits. Would like to update knowledge/learn more, but not much time to self-tutor. Not as intuitive to understand as I hoped it would be. Have not found a way to split categorization of some websites that can be both distracting and productive, depending on use. Better for in-office computer than home/office scenario. Tracking hoe office time spent productively. Made me more aware of how I am spending time. It's great to see the actual numbers. There's a clear increase in productivity. Sometimes the category is off. You can categorize but that takes more time. Also, anytime I spend Marketing on Facebook is automatically deemed unproductive. "Shocking to to see actual time wasted"
"Easy app for time tracking and productivity"
Great personal analytics service that shows me how I spend my time and helps me be more productive. Constant updates need to be done and sometimes the app does not record time as desired. Personal productivity tracking. Time spending and helps with timesheets. "Great, easy to use program for tracking time"
The ability to see where my time is being spent. Does not alert me when I am for some reason not tracking time, due to updates, etc. Definitely, use it. Don't just let it track time, look at your Dashboard and make decisions on how you spend your time based on the data. I was able to see I was spending way too much time on little things, rather than focusing my effort on the big projects. Solving my problem of spending too much time on small stuff. I have been able to shift my time into the projects that are more important overall. "Pretty neat software for managing efficiency with time"
All of the statistics are easily marked and easy to read. Ability to set goals for yourself. Statistics calculations may be a little bit questionable for accuracy. Take the initial time to setup goals and maybe change the default email notification preferences. I started using this to keep a tab on how much time I actually end up wasting when on the computer. I'm not sure if it's pushed me to be more efficient with my time or not. I had a good experience with this software. 1. It can be installed on multiple devices. The data will be collected from all devices and aggregated, if you need it to. 2. It really helped to improve my productivity by tracking how much time I spend doing different things online. It also serves as a reward to see that "you spent 70 hours online this week" when you know that you have been working hard. It is just perfect for what it was created for. There is nothing that I dislike. "Track your activity, increase your productive time and control procrastination"
I use RescueTime regularly to track my activity times, analyze my productivity trends and check whether I can reduce my procrastination times. It's amazing to review all that information after a long period of time, like as a couple of months or more. I always find a bit too complicated to organize and categorize my tracked times. There must be easier friendlier ways to do that. As a remote worker, time management is a key asset that must be learned, improved and nurtured along the time. It's a key ability for success and it's a very difficult one. RescueTime provides very helpful insights to control your own time. I like that it sums up my laptop usage on a daily and weekly basis. The email summaries are great. I dislike how it categorizes some websites. For example, I often use LinkedIn for productive means but it classifies LinkedIn under Social Media (unproductive). I am increasing my productivity at work. "An Easy Way to Track Where Your Time Goes"
I like how RescueTime works in the background without me having to think about it. It also sends me a weekly report of where my time went. When it needs updating I just press a button. It's completely automated. There really isn't anything I don't like. I use the free version. The paid version has more ability to look back in time, which is helpful. Try it out and see if it works for you then expand to the paid version. I use it for personal use, but it could be used to track time worked on specific programs for business. Produces good reports that show what software programs and websites take up my screen time throughout the week. Initial set-up of catagorizing takes some time but can be done on the fly and the time pays off later in the accuracy of the reports. Take some time occasionally to update your settings, categorizing your websites and software programs so that RescueTime can accurately identify your work patterns. Accountability of time spent at work: "productive" vs "non-productive" time and confronting good vs best use of time in using my time efficiently. I like the weekly update with the amount of hours I've spent working on my computer. I don't like how cumbersome it is to set up drill downs on browser applications. I have a concern about privacy in the browser apps. Their freemium version does so much! Try it out for free to see what it does. Time tracking. I have found this to be a huge help in checking in on my weekly work output and can take this down to a project level. The clarity and depth of the data is really useful; it's easy to get all the information I need to form my own useful conclusions without it being too predigested and indecipherable. Honestly, there isn't much I can think of. The interface on the part where one fixes categorization of URLs, that's sorta clunky on the chrome extension settings I guess. RescueTime is significantly altering how I use and manage time, including giving me valuable ways to adjust settings on other time management aids I use. "Good to get a baseline of your computer usage"
RescueTime worked in the background and was able to quantify my time using different computer software. There were a lot of emails sent by the company that filled up my mailbox. I think the program could be less clunky and they could send fewer emails. I think more pop-ups or progress bars like the Timebar app or some pomodoro-style collaborations would be good. Better accountability of work time spent. "Interesting to find out the daily Internet usage"
The data that was provide from Rescue Time was good information to analyze users' Internet usage. The platform is not very user friendly. Some area is hard to navigate. The investment of technology, it is easier to determine what kind of electronics to purchase. "Documents time spent and sends reports"
I like that it compares this week to last and tells me what percentage of time I am spending on each website or platform. I would love to have an app for my iPhone that does this same thing with time spent on Apps. I would love a feature to lock out certain websites on the computer or apps on phone. Helping me to be more productive. I was unaware how much time I spent on FaceBook! "Great for tracking what I do with my time! All in the background ...."
On the paid version I can see right down to which part of each website I'm using. I can categorise different websites - as time wasters, productive or neutral. It's difficult to use the basic reports when some websites can be both time wasters as well as productive business time (Facebook for example). Being conscious and accountable for where I spend my time. "A great way to see where your time goes"
A great way to see where your time goes on a daily basis -- accurate tracking. Sometimes having the time tracked that minutely leads to stress! RescueTime works in the background of my computer to help me understand where I'm spending my time. It was certainly a wake-up call the first time I used it! There aren't any features about RescueTime that I dislike. I'm realizing how to build short periods of rest into my day in an intentional way, instead of mindlessly wasting time. * We monitor all RescueTime reviews to prevent fraudulent reviews and keep review quality high. We do not post reviews by company employees or direct competitors. Validated reviews require the user to submit a screenshot of the product containing their user ID, in order to verify a user is an actual user of the product. Hi there! 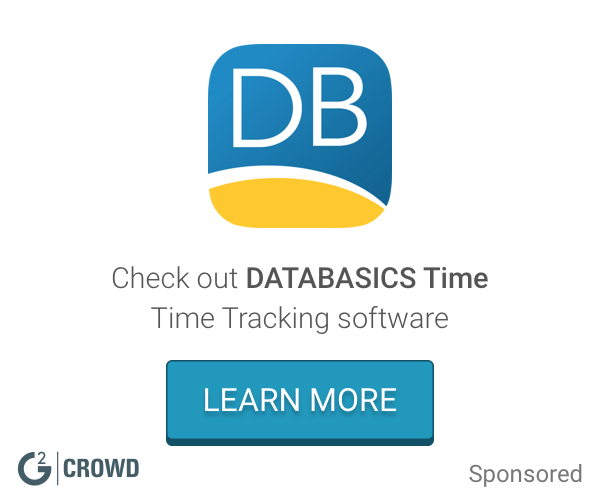 Are you looking to implement a solution like RescueTime?